Predictronics celebrated many successes in 2017. A growing staff, the release of its end-to-end predictive analytics solution and increases in revenue are only a few of the several achievements that made 2017 a year of continuous growth. These successes have allowed Predictronics to expand beyond its usual market, reach more customers and introduce innovative technologies that are not only efficient, but cost-effective. One of Predictronics’ biggest achievements in 2017 was the strategic and gradual growth of its staff. In early January, the company relied solely on eight full-time employees to perform a variety of tasks, including sales, project engineering, software development, finance and marketing. Since then, this number has doubled to include two data scientists, an electrical engineer, a content marketer and four web development interns. This staff investment was crucial to the release, marketing and sale of PDX, Predictronics’ software platform. The beta release in January, as well as the official release in August garnered attention from companies in various industries, some of which have become early adopters of PDX. In addition to releasing its software, Predictronics expanded into the North American market. This expansion, which led to increases in revenue from previous years, is in part thanks to aggressive sales partners like IoTCo. and Forcam. Now, Predictronics works with U.S. companies such as Makino, Whirlpool and Canrig, as well as a vast array of Japanese customers. Due to the potential of the PDX platform and Predictronics’ dramatic growth over the past year, the company was able to renegotiate further investment for 2018 to accelerate software development. In early 2018, employees’ main goal will be to launch a more stable and tested version of PDX for a Japanese market release in February. In addition to improving usability, stability and functionality, the team will also work on increasing PDX Sandbox’s capabilities and credibility by migrating solutions from past and current customers to the software platform. 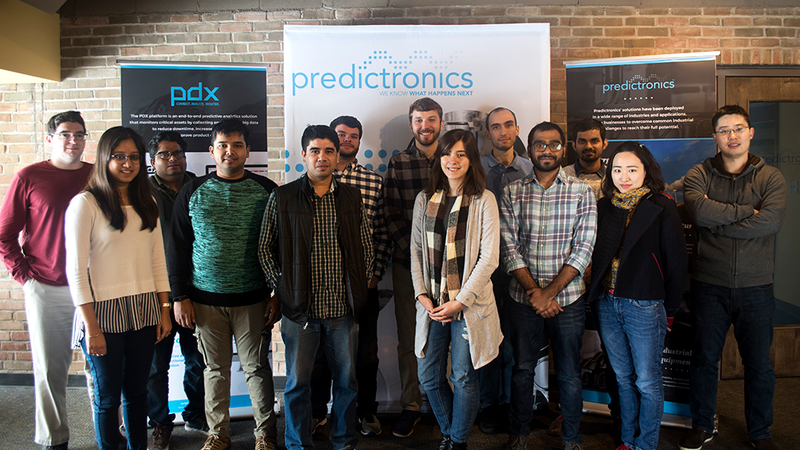 Predictronics hopes to continue growing its staff in the year ahead to include four more diversified engineers, a data scientist and at least two mid-career, in-house sales representatives. These positions will allow the company to accelerate more robust software development, build a customer support team and increase overall software sales. These measures are predicted to result in further revenue increases in 2018. This will likely come from proofs of concepts and customer trials and, later on, software sales. North American business will continue to be fueled by Makino and Whirlpool, as well as DMDII and customers in automotive manufacturing, which can range from OEMs to first-time suppliers. Predictronics is thankful for all the customers, partners and friends that helped make the past year one of continuous growth. The team is excited for the year ahead and trusts that 2018 holds even more success.